Got back from Mexico about a week ago, just been busy getting caught up so I haven’t been able to update this. A lot of replacement / upgrade parts have arrived over the past few weeks, so time to show off what I’ve been buying. 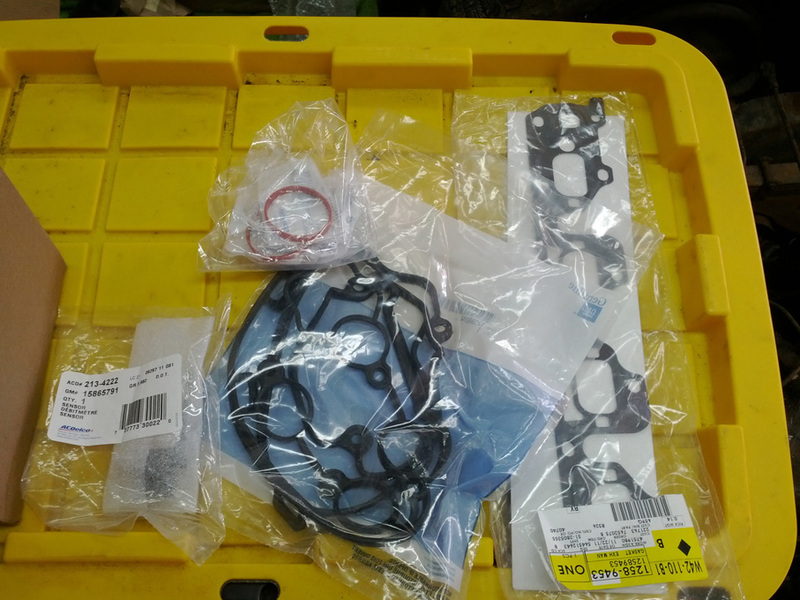 First off, we’ve got intake and exhaust manifold gaskets for the Ecotec, as well as a replacement valves cover gasket. That’ll be used when I go about cleaning up / powdercoating the valves cover. Also, I got the airflow sensor, which I’ll have to fabricate a custom housing for based off the designs on Bowtie6’s intake. All that’s courtesy of GM Parts House. 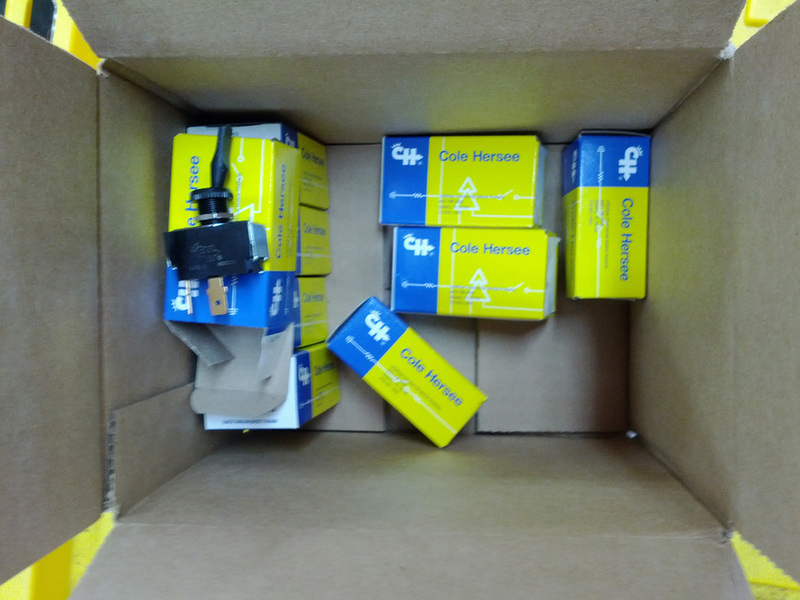 Next up we’ve got a box of switches, mostly 2 position with a few 3 positions, for the new instrument cluster. That was bought from a random internet vendor. 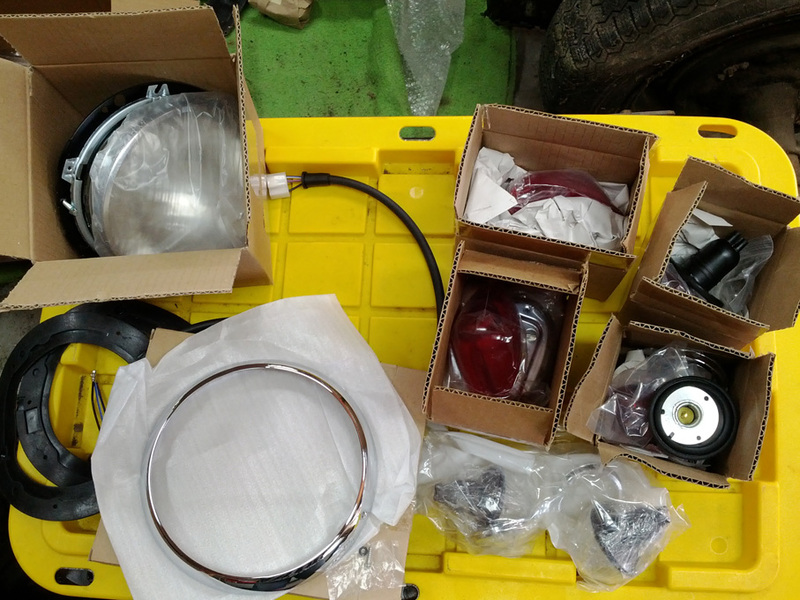 After that, the big pile of lighting parts from Morgan Spares, We’ve got full headlamp assemblies with new chrome rings. Also we’ve got the new front and rear indicator / brake light housings. I’m still looking into my options for doing halogen headlamps, and I need to start sorting out what I’m going to do as far as LED lighting upgrades. 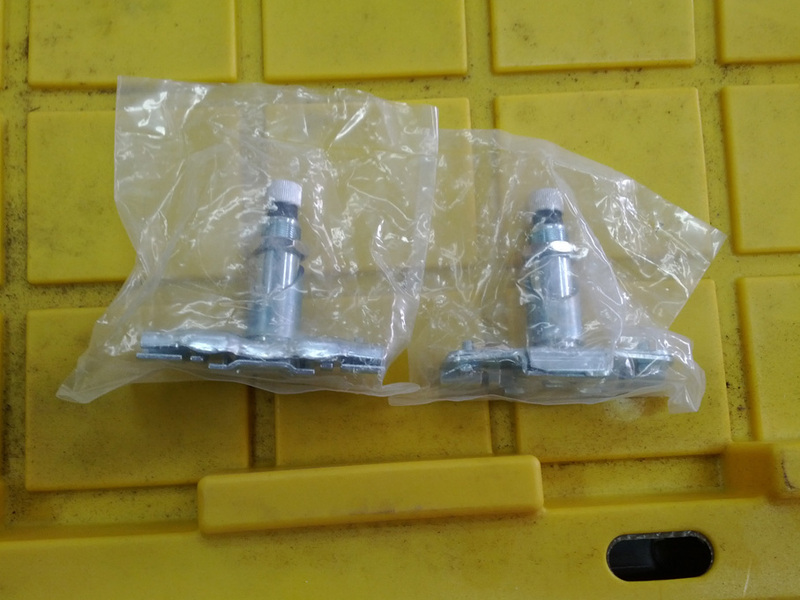 Following that, a pair of brand new windshield wiper bases that I found on Ebay. Since I pretty much destroyed one of the originals in order to get it apart, this was a needed replacement for sure. 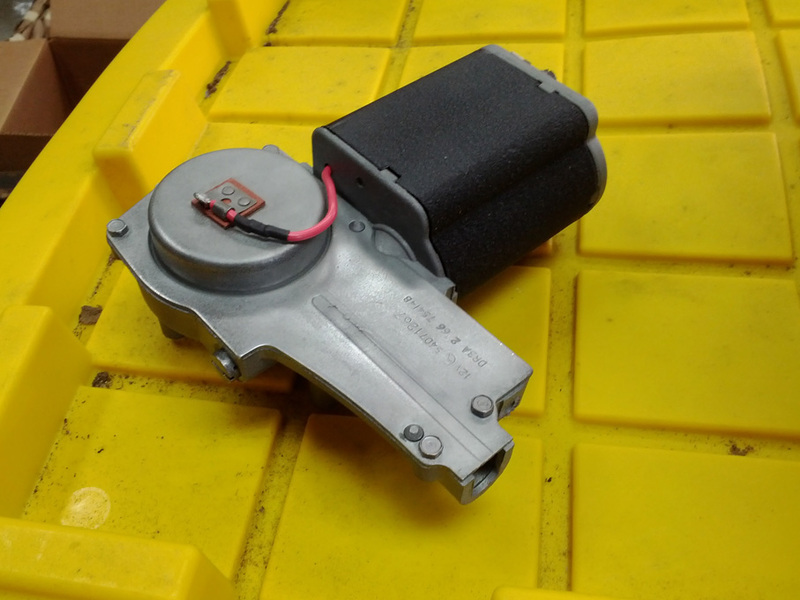 Finally, we’ve got the absolutely superb rebuild / restoration done on the windshield wiper motor done by E. Lawrie Rhoads of British Car Part Restoration. 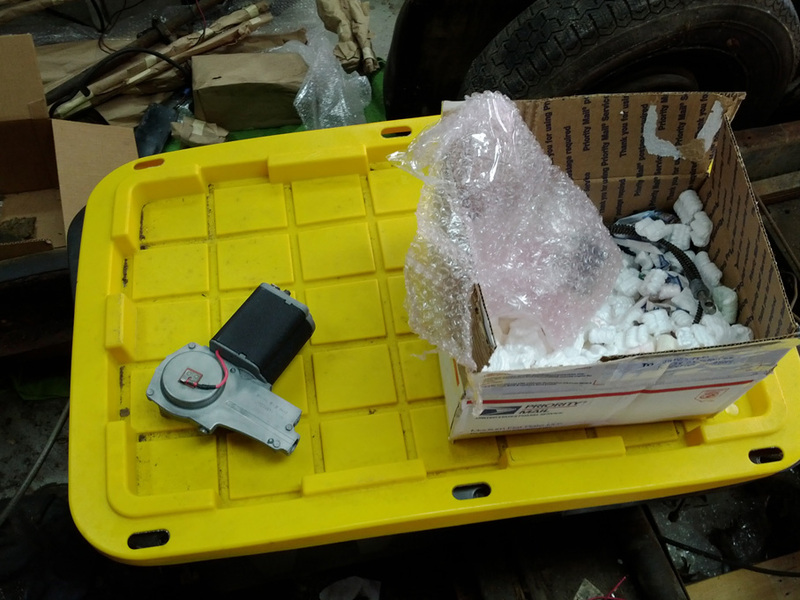 He was good enough to also send along wiring instructions so that I don’t have to worry about this rebuilt wiper motor blowing itself up a second time. In other news, I stopped by Club Auto Sport / Borelli Motorsports today for their regular “Cars and Coffee” event. Myself and a number of other local Corvette owners from NorCal Vettes pretty much took over the showing area, though there were a number of other really nice cars, including a Ultima GTR and a Noble. I talked with the owner of the place, and he introduced me to his fabricator / race car technician Chris. Seeing as I would like professional and experienced input on designing the custom chassis for the MogRod, having someone like Chris giving me input will be invaluable towards saving me headaches down the road. This entry was posted in 1966 Morgan +4, Restoration, Solstice Parts Car, Upgrades. Bookmark the permalink.